This online training course for Loaders & Backhoes provides employers and operators an introduction to the equipment, machine anatomy, maintenance and inspections, hazards, safe operation and basic trenching techniques. Upon successful completion of this Loaders Backhoes online course, a certificate of completion will be available for download and printing. 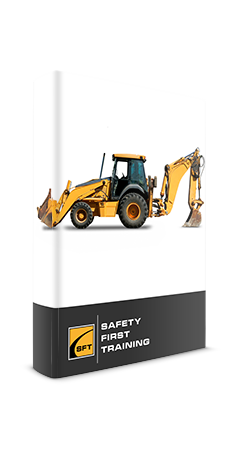 Testing conducted throughout this Loaders & Backhoes online course is designed to reinforce the information presented. A mark of 80% must be achieved to receive a certificate of completion. Participants are able to repeat the course two additional times if the pass mark of 80% is not achieved. Upon successful completion of this Loaders & Backhoes online course, a certificate of completion will be available for download and printing. Always be aware and locate overhead and underground lines before starting any work. Only operate the machine on grades approved and specified by the manufacturer. Alway position the machine a safe distance from trenches and excavations. 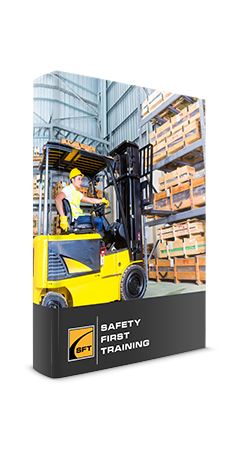 Equipment operators must be professional trained in the proper use of the equipment. Ensure all control labels are clean and visible. Ensure all controls are working properly. Securely any latch attachments before starting work. Always conduct visual and operational checks on the machine systems and controls before using. Always use the rollover protection system and seat belts as supplied by the manufacturer. Never exceed machine load capacities when lifting materials. If you need to leave the machine always lower the boom with the bucket on the ground and turn off the machine. Inform all worksite workers of the machines’ established swing areas and potential blind spots before starting work. Confirm communication signals between the machine operator and workers on the ground before starting work. Never allow workers to work or stand under suspended loads or suspended machine components such as the boom, arm, or bucket. Inform all workers to never approach the machine until they signal the operator to shut down the machine and receive a positive signal from the operator. The use of spotters or signal persons is always recommended. Never allow people to ride in or work from the machine bucket. Workers on the worksite should always wear hi-vis clothing to be visible to the operator.